VIRGINIA’S RAIL HERITAGE REGION is near other key railroad heritage sites in Virginia, West Virginia, and North Carolina. 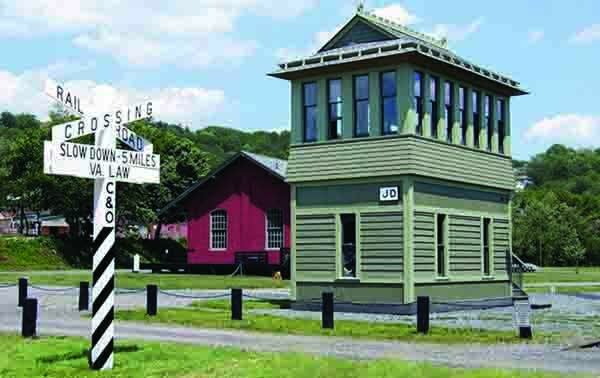 Make your next vacation a railroad heritage tour and visit the many different locations and sites in the Region. VIRGINIA’S RAIL HERITAGE REGION was established by the Virginia General Assembly in 2010 to highlight and promote the rich railroad heritage of the state of Virginia. The region officially includes Alleghany, Amherst, Bedford, Botetourt, Campbell, and Roanoke Counties, and the Cities of Bedford, Covington, Lynchburg, Roanoke, and Salem as well as towns in the region. 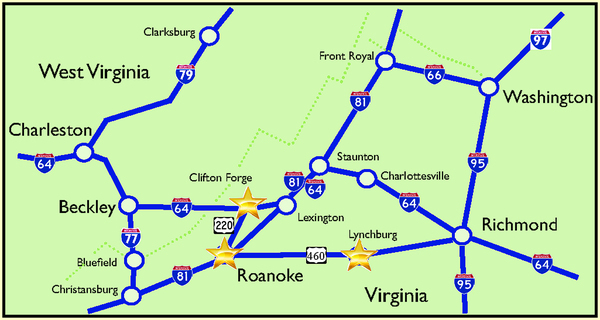 Historically, the region was home to the largest concentration of rail facilities in the state: The famous shops of the Norfolk and Western Railway in Roanoke, the shops and yards of the Chesapeake and Ohio at Clifton Forge, the Southern Railway facilities at Monroe, and the facilities of the Virginian Railway in Roanoke. These railroads ran through the region, with the crossroads in Lynchburg. 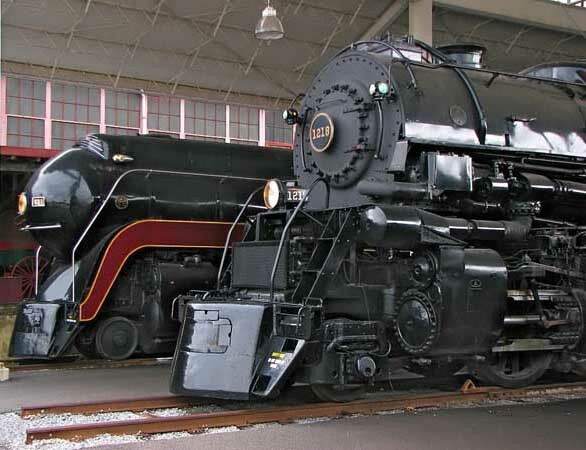 The region also contains the greatest concentration of rail heritage museums, sites, and societies. When planning your next trip, come celebrate and explore our wonderful rail heritage by visiting Virginia’s Rail Heritage Region.